In this video, we look at some advanced altissimo techniques. 0:23 Split tones. 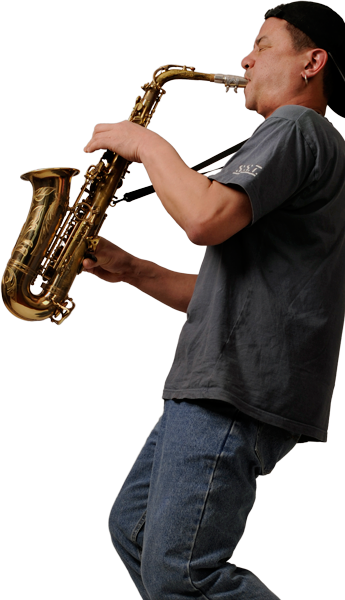 This is a dissonant, distorted effect made popular by David Sanborn. 0:57 Palm key slide. This is a smooth glissando using the palm keys. You can also add a very cool trill using the side E key. 1:27 Growling. This is a common effect in the normal register and you can also do it in the altissimo register, although it takes practice to be able to maintain the airstream and keep the altissimo note sounding. 1:46 Mute effect. Another common effect in the normal register that can also be done in the altissimo register. Don't be afraid to experiment - mistakes are an important source of new ideas! 2:16 Whenever you go into the altissimo register, it's important to play music and not just make the odd high-pitched squeak. Understand what's happening inside your horn as you play, make sure you're using the right technique and hear each note before you play it.